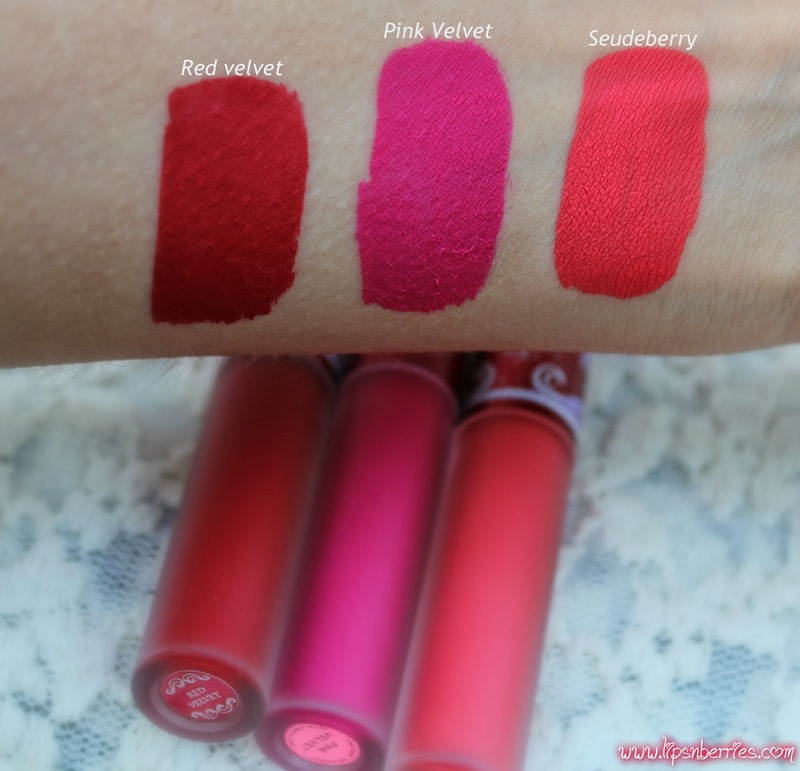 Lime Crime Velvetines ♥ Pink Velvet ♥ Review + Swatches + Comparison + FOTD | LIPS n BERRIES! How do you write a review about something you are clearly obsessed about? You try ... try real hard! and I'll be doing just that today! If you follow me on Facebook and Instagram, you know I've been waiting...rather impatiently.. for Pink Velvet's release! and as soon as it did.. it took my sleeps away! I could've bought it on day 1 i.e. Nov 29th but honestly, I just wasn't sure. It looked very cool toned and I was quite certain it'll look scary on me. Doe Deere (the owner of Lime Crime!) is porcelain white and super cool toned and she rocks it like anything! That made me think twice (actually way more than twice...many sleepless nights!) And when it reached NZ shores this week... heart took over mind! I ASKED my gf to be my secret santa and she agreed rather happily (Shout out to you Neha!) and boy! it's the best gift I've ever received in my whole effin life... Yeahh! those photo frames, wall hangings, hideous stuff toys, useless clothes.. better than them all! I was so wrong! 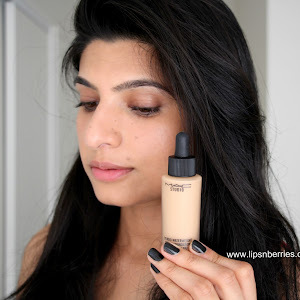 It's a stunning shade that albeit my warm skin tone complements it like a match made in heaven. 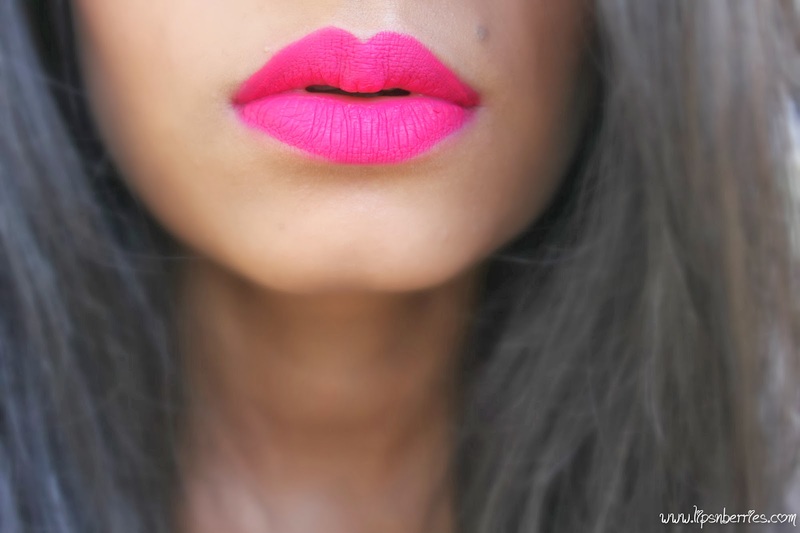 I've never seen a shade prettier than this! Ok.. back to being level-headed. I must not show my #obsessedwithanythinglimecrime side to the world. 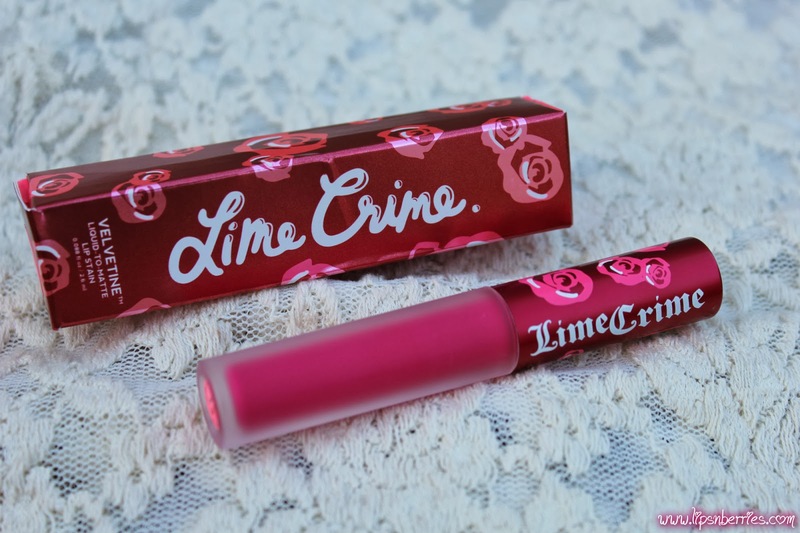 Lime Crime is US brand that's all about color- brights, bolds and the unusuals! They are vegan and cruelty-free (Thumbs up!). 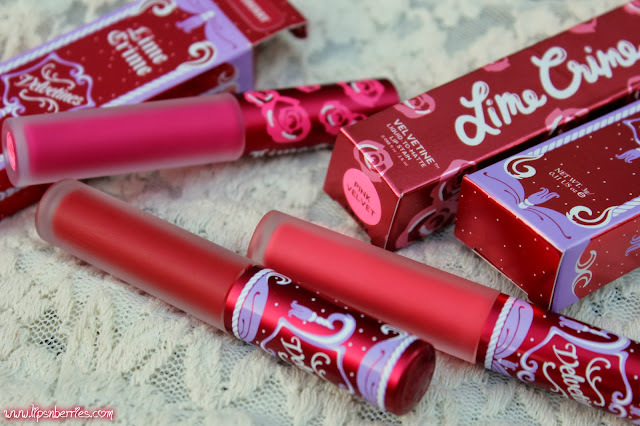 Since I've already reviewed Lime Crime Velvetines in the shade Seudeberry (Review here), I won't go into super details in this post. Shall let pictures do the talking today! What Lime Crime has to say about them? Well, I'd happily agree on that statement. And addictive ... lets not even go there! I wouldn't lose my sleep over it if it wasn't addictive. ♥ Stays on forever.. survives light snacking, drinks and meals! About 4-5 hours easily on me and after that leaves a stain behind. It starts fading from the part! A lip liner underneath would secure it for the whole night. 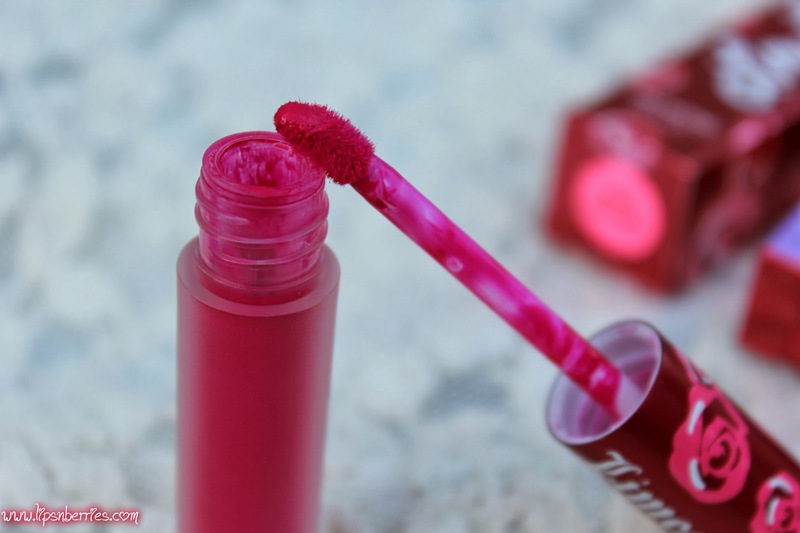 ♥ Doesn't dry my lips the whole time it's on. Not uncomfy at all. 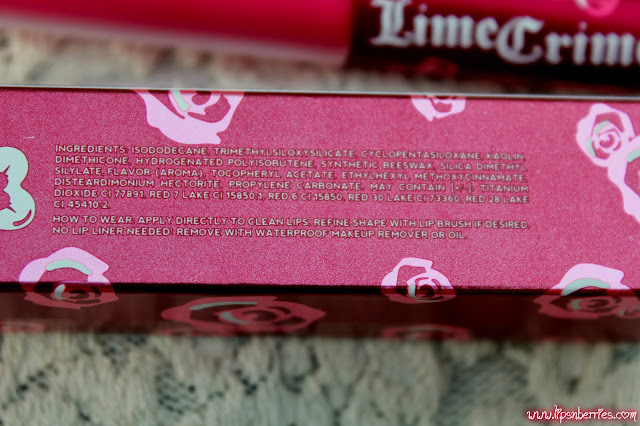 ♥ The packaging: They have changed the packaging slightly and this one is even prettier than the last. Roses on cap and the frosted glass case.. This is THE ultimate luxury! ♥ The doe foot applicator actually works. 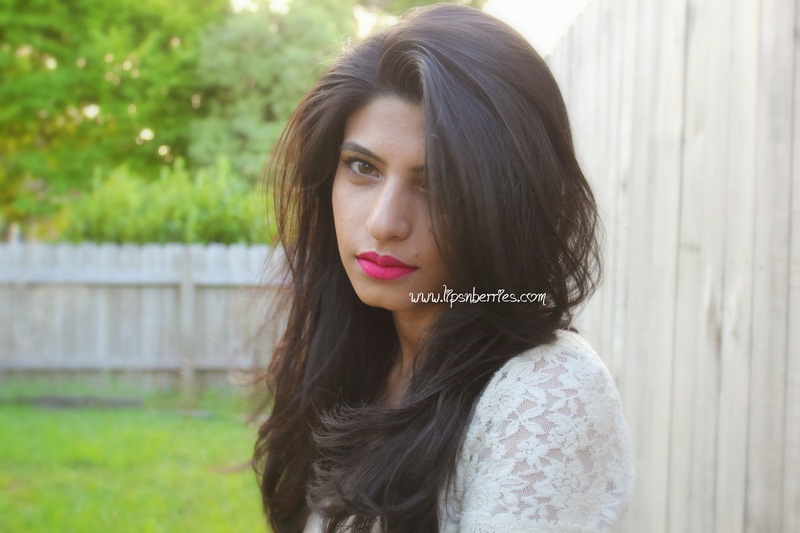 It's easy to maneuver and get that perfectly enviable pout! Just noticed it's doe-foot is actually smaller than the previous two Velvetines. 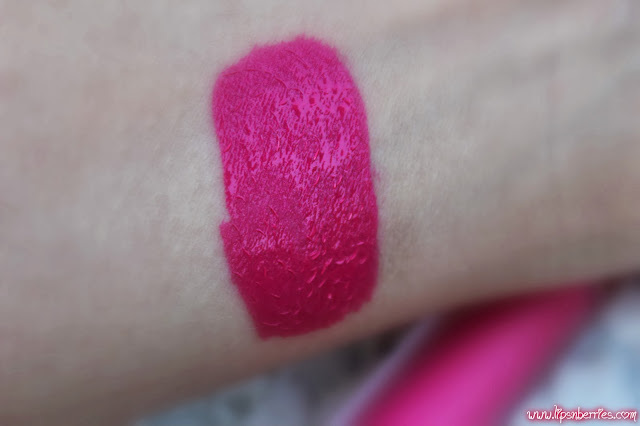 I've been able to get a perfect lip line with pink velvet easily so may be it's helping. If I had to gripe about it (like really really have to!!) I'd say this needs good wellcaredfor lips- Freshly scrubbed and drenched in lip balm (as with all matte's)! 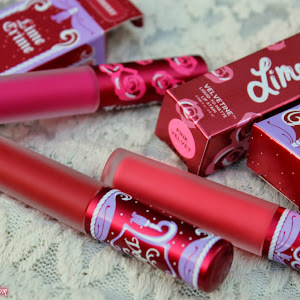 It also emphasizes lines and wrinkles on lips after a few hours of wear. That's a sign- top it up!! 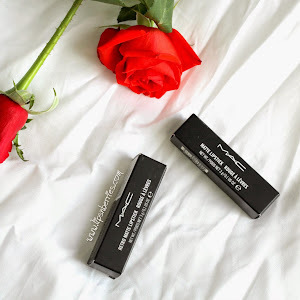 I apply it straight from the tube but when I need to lock a matte lip color for the day, I follow this order! scrub lips (super gentle) → lip balm (10 minutes) → wipe excess lip balm →lip liner (same or lighter shade) → lipstick/stain with brush or straight from tube → Blot (about 2 times) → Done! That's pink velvet for you ladies! Hoping you didn't discover my OCD about these babies. Honestly, I feel the addiction growing and am a bit uneasy about addictions in general. Remember I mentioned it in my post here? Ummmm.. Lets not dwell over my insecurities!! Lets just admire the beauty again.. Pink Velvet that is! 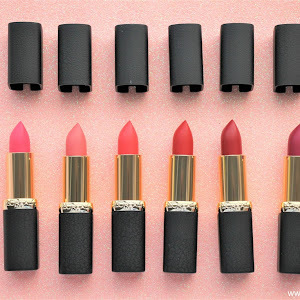 C'mon ladies... come out of nudes and mlbb's and embrace the bold! Enjoy the attention this baby will get you...! 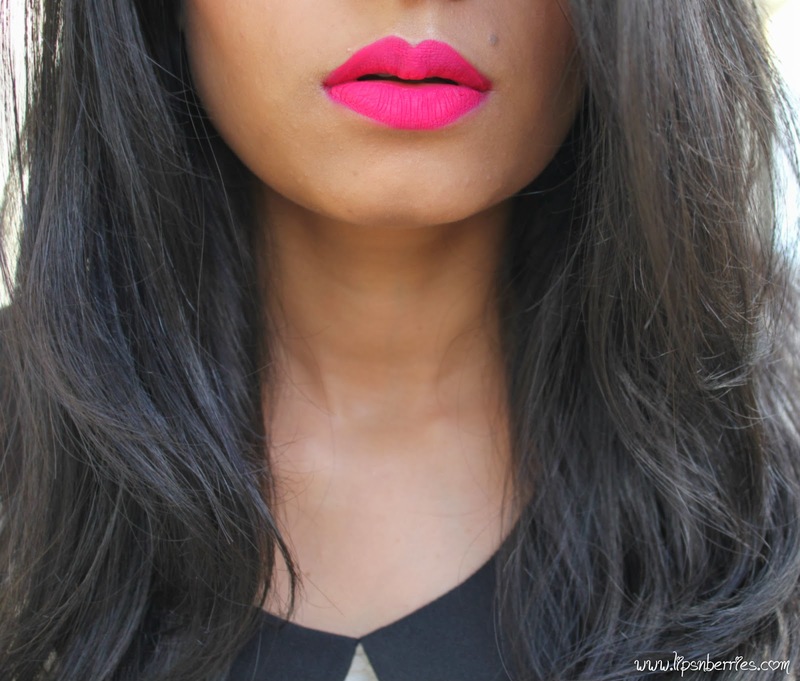 So, tell me is this a shade you can rock? 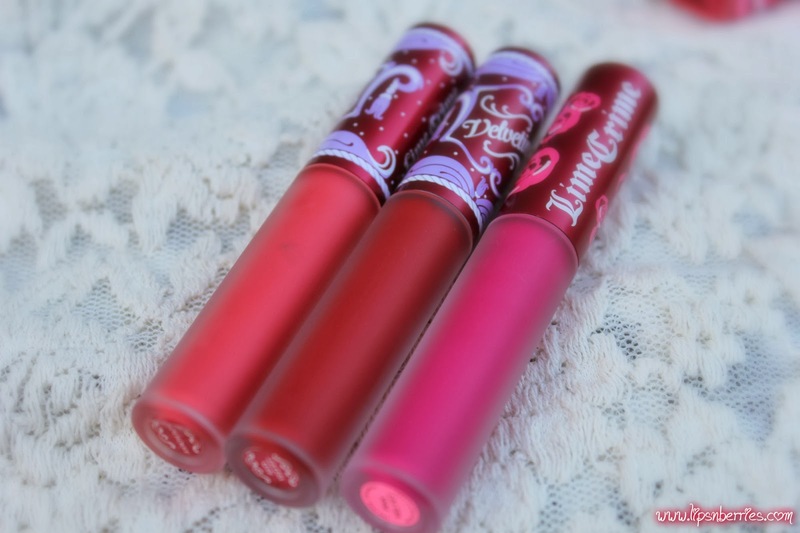 Is it your kinda shade or too bold? What will you pair it with? i love suedeberry the most! Seudeberry is my fav too..! It's a perfect summer color... I love to wear it on beach for some weird reason! Omg! Stunning color! But I'll have to agree. Suedeberry is the prettiest! I am using the honey nectar Kardashian Lipgloss. Thank you girl ! Lemme know how you go with them. They are a must have for me! Well I couldn't resist the temptation Naseem... Can you? 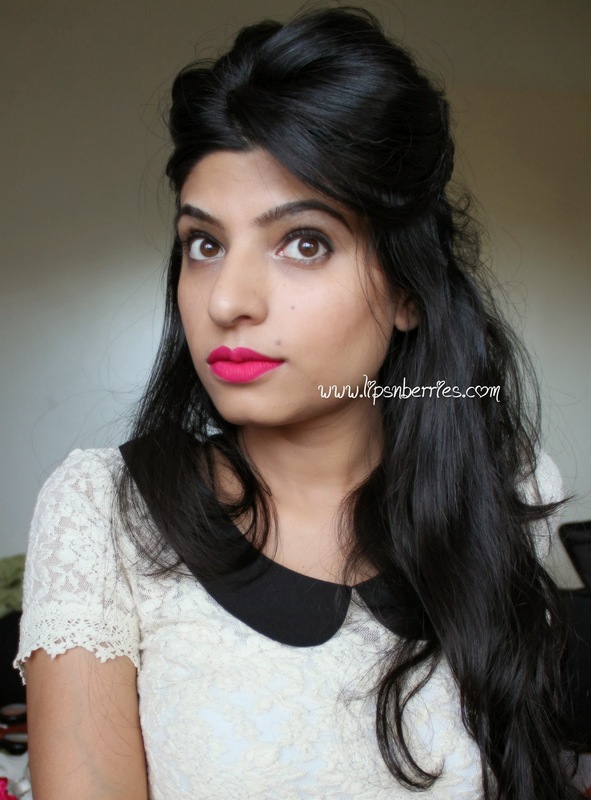 I used NYX lip liner in "Pinky" underneath it Marilou! I have got to get on this bandwagon!!! 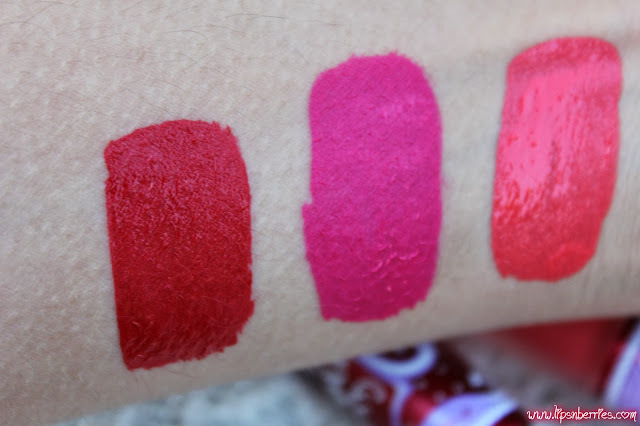 Wow, these are absolutely gorgeous :) So pigmented!